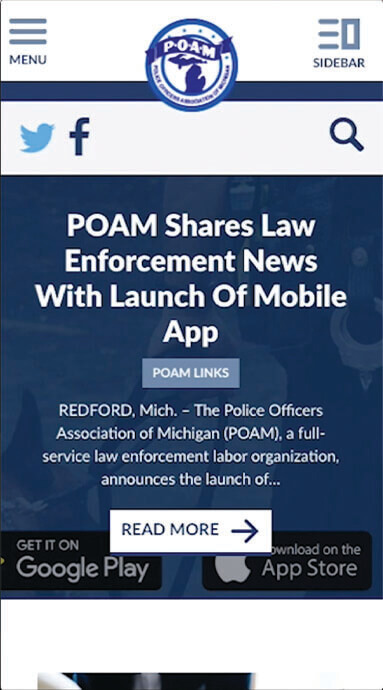 A full-service labor organization, the Police Officers Association of Michigan (POAM) was formed to provide every labor-related service to police officers. From negotiations, grievance processing, legal and legislative representation to Act 312 arbitrations, POAM is always fighting for its members. When POAM contacted TM requesting updates to their original site, we replied, "Yes Sir!" Before enlisting TM's help, POAM struggled to keep their website updated and needed a more user-friendly and organized platform. They also needed another way to communicate to their members. Social media, when POAM first came to us, was becoming more wide-spread and they knew they needed to take advantage of the platforms. TM customized a content management system (CMS) with easy-to-use software that allows POAM to organize and control every aspect of their website. 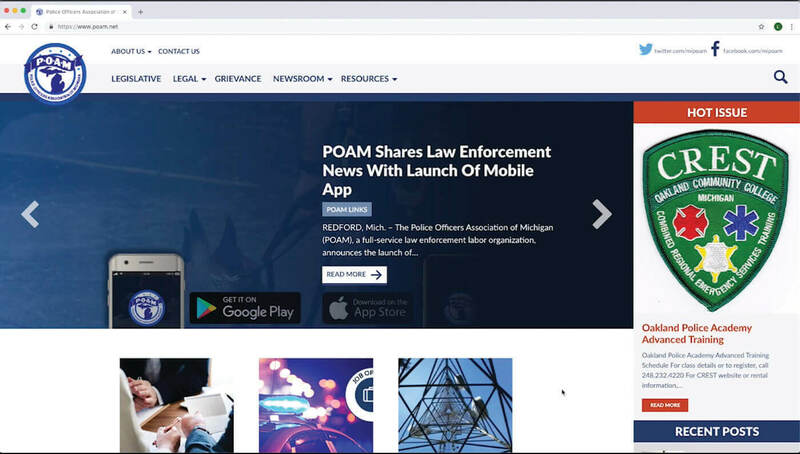 We also created a custom blog and implemented digital marketing strategies to help POAM stay connected with their community members. 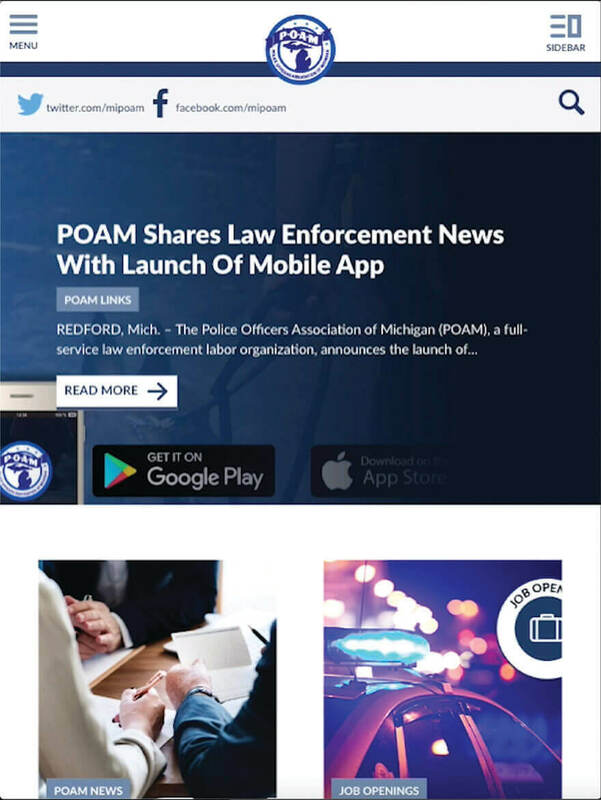 With a highly functional site and improved marketing strategies TM drastically improved POAM’s website traffic, which resulted in improved member involvement overall. POAM’s Facebook is now very active, and the perfect platform to share news, upcoming events, and interact with their members. We look forward to a long continued partnership with POAM in the future. We are proud to be a small part of what they do. POAM shares important and timely information on a regular basis, so we made sure their homepage was easy to navigate. Featuring POAM's most important news categories for members was of the utmost importance. Organization of data and creation of categories got this done. Giving readers the capability to share POAM's blog articles with others and keep the flow of important information going was paramount.